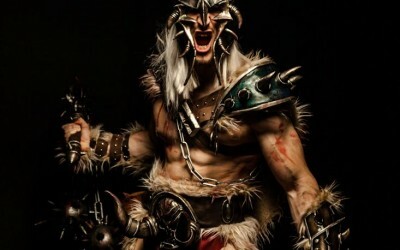 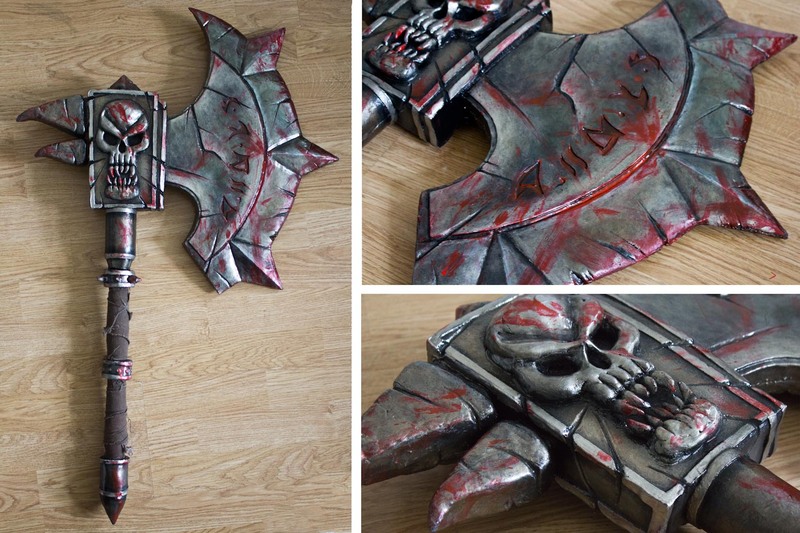 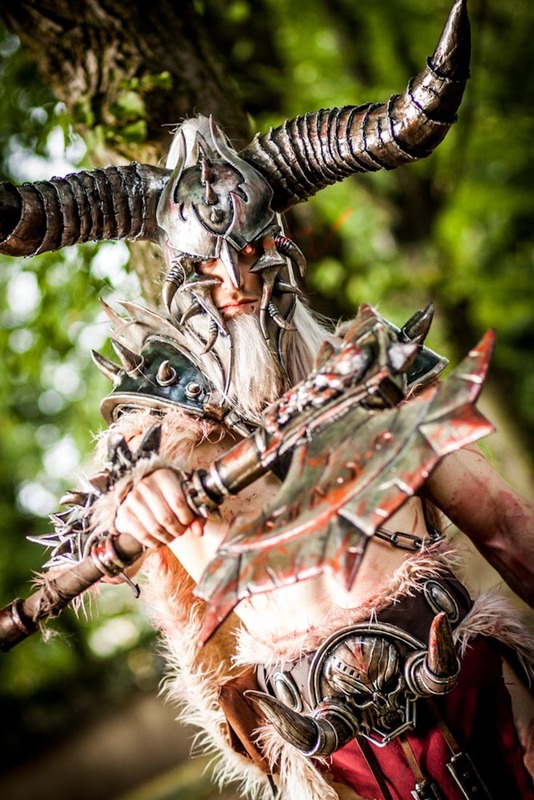 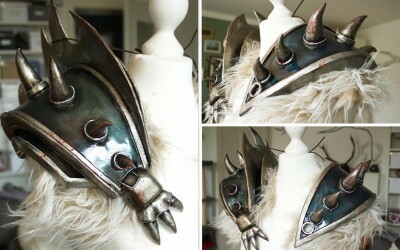 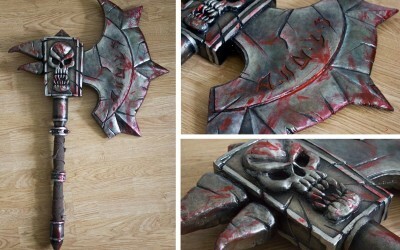 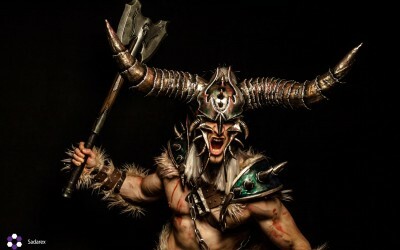 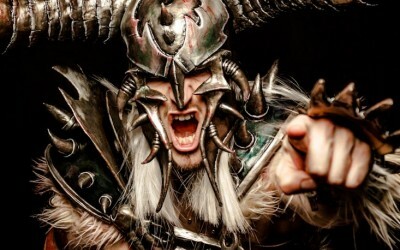 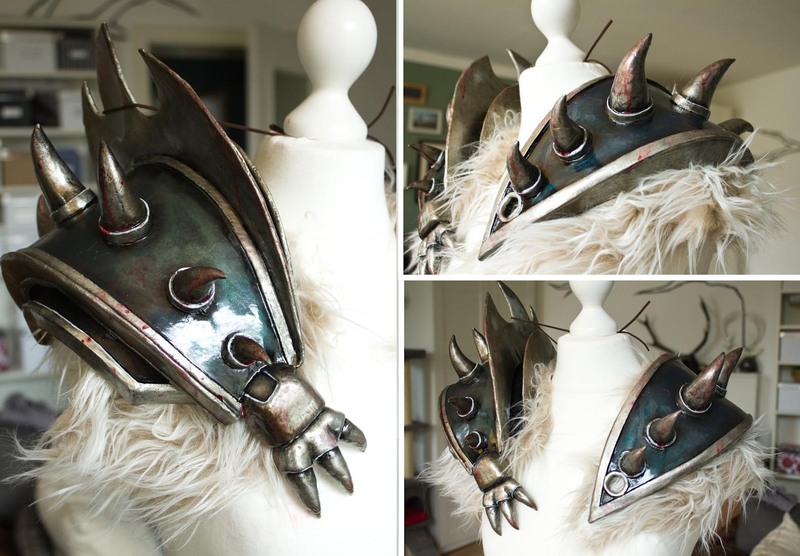 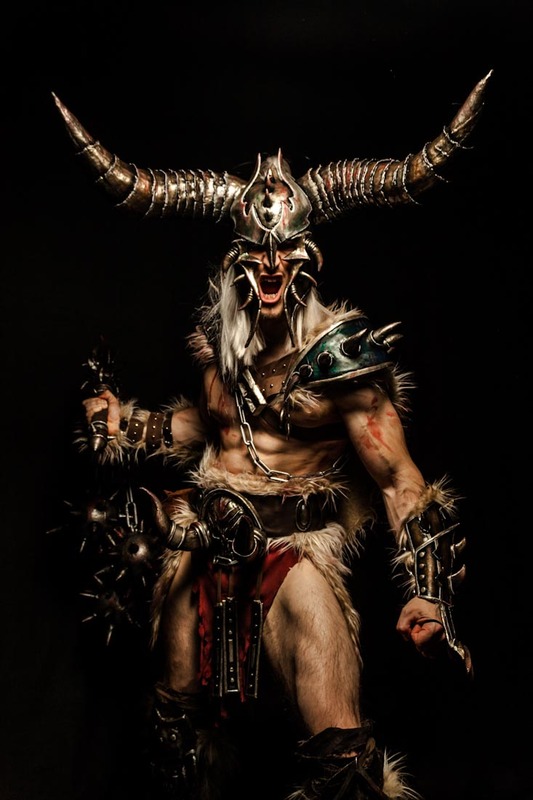 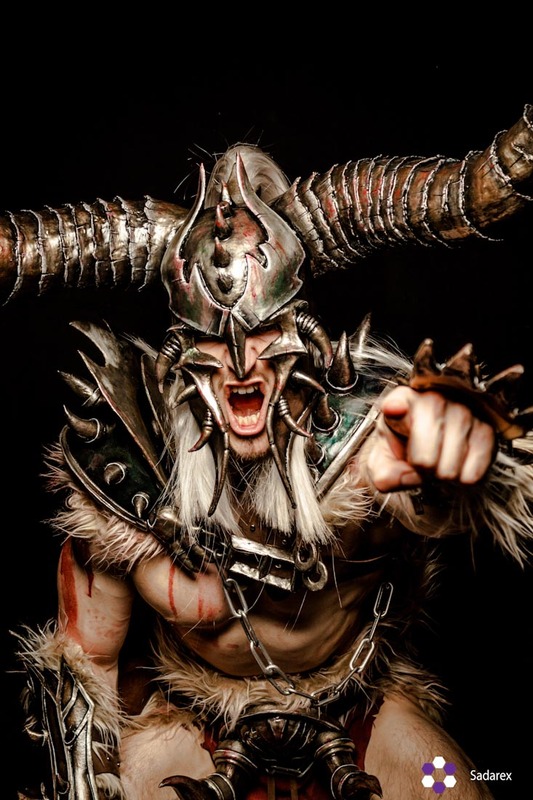 One of my most well-known costumes is the Male Barbarian from Diablo 3, which I previously made for my boyfriend Ralf. 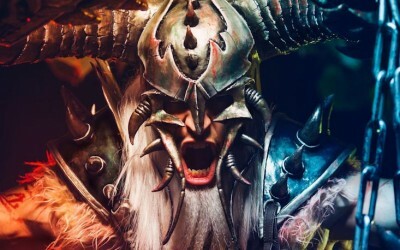 It was time for me to stick him into a costume that matched mine. 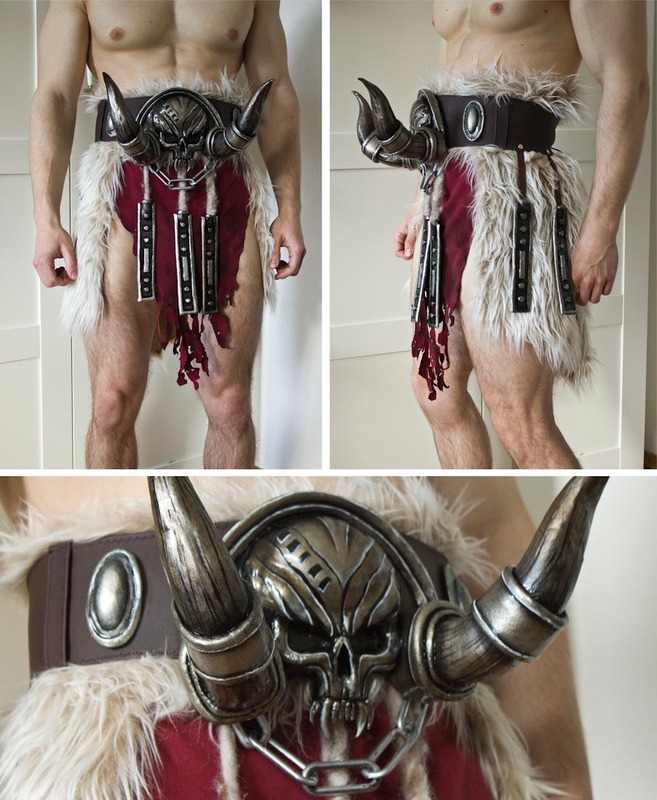 He wore it at the Role Play Convention 2013 for the first time. 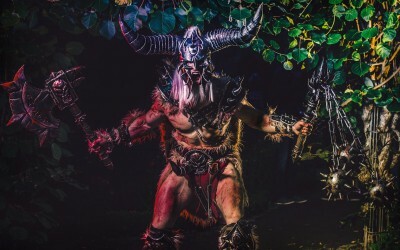 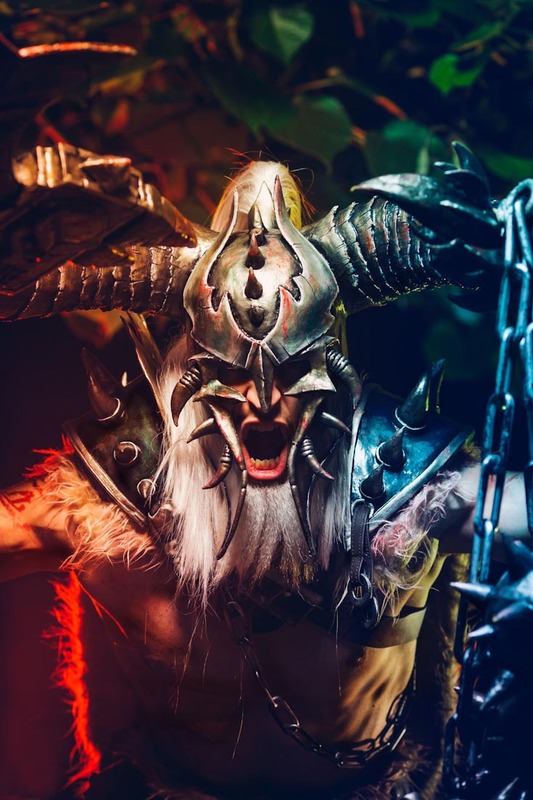 This costume won first place at the Blizzard Costume Contest during the GamesCom and the prize was an awesome trip to the Blizzcon in Los Angeles. 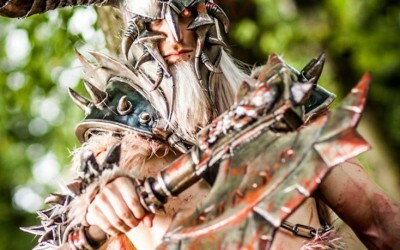 Ralf made such a great impression with his costume that he took first place at the Costume Contest there as well.